Working with your estate gardens you will receive the expert attention of qualified gardeners with highly specialized experience. 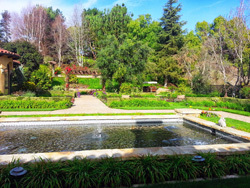 Our knowledge of luxury gardens is unparalleled in its sophistication and our attention to detail is unsurpassed. The discretion and professionalism of E.Z. Landscape are guaranteed. After all, you are a discerning homeowner or estate manager with taste and style. The creation of uniquely beautiful landscapes for the place you call home is the singular passion of the professionals at E.Z. Landscape. We create, build and maintain custom private estate environments that reflect the individual styles of today’s very different homeowners.